Here students practice different phrases to express agreement and disagreement. Useful for developing speaking for FCE, CAE, CPE. Pre-teach the different vocabulary. The students then complete the exercise underneath in pairs. Taking it in turns to make one of the statements. In the first section the other student HAS TO disagree with their partner, even though some of the statements are difficult to disagree with. They must also justify their disagreement. In the second section they HAVE TO agree. For higher levels ban the use of “I agree” or “I disagree” force them to use the new expressions. 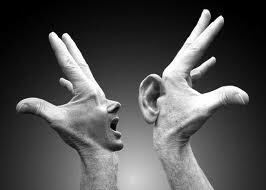 Listen to you partner and then disagree with everything he / she says, give reasons. I think everybody should have access to free healthcare. War should never be used to resolve international disputes. The best way to study is on your own first thing in the morning. Footballers earn too much money. Celebrities shouldn’t complain about being in the public eye all the time. The best place for animals to live is in their natural habitat. Listen to you partner and then agree with everything he / she says, give reasons. Making mistakes in English is ok as long as other people understand you. The government should pay for everybody’s education. Smoking should be completely illegal. Cristiano Ronaldo is the best football player in the world. This site has the best resources and lesson plans I had ever!!! Im gonna use those for my class. This is the one I’ve been looking for. It’s awesome!!!!!! My students would love it! !